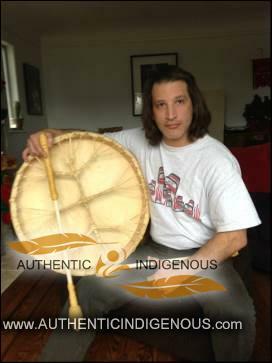 David (Qwel Qwel Minixlp) is an elder of the Okanagan Nation, Grizzly Bear Clan. A healer and sweat lodge keeper. 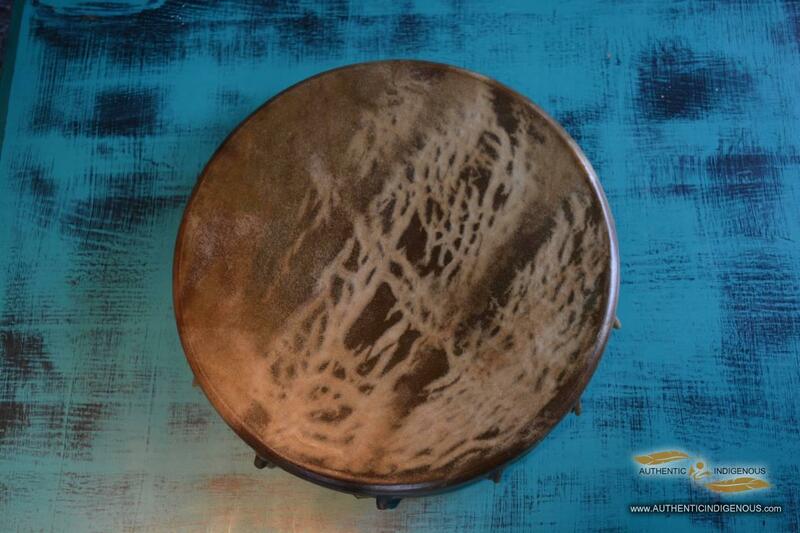 Knowing that all things are connected by the vibrations of light and sound, David creates hand made hand drums. David (Qwel Qwel Minixlp) is an elder of the Okanagan Nation, Grizzly Bear Clan. A healer and sweat lodge keeper. 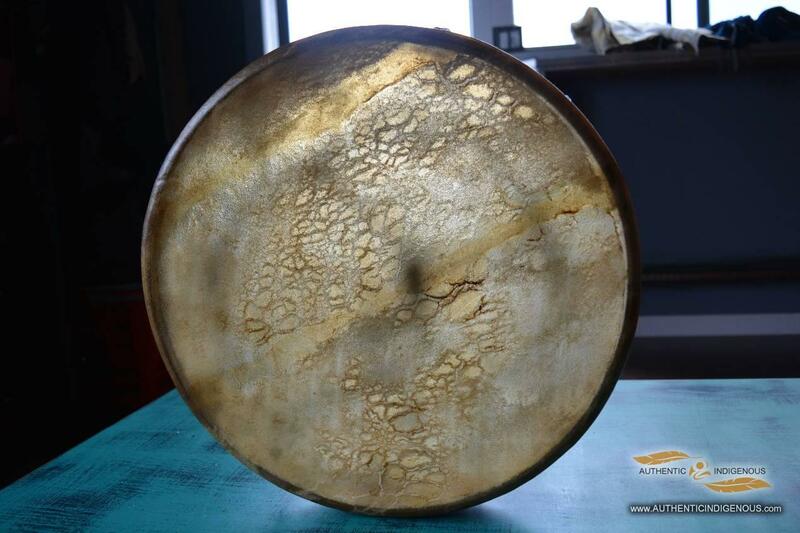 Knowing that all things are connected by the vibrations of light and sound, David creates hand made hand drums. Elk or Buffalo rawhide is used for the head and also hand cut for the stringing to give the best tone. Each creation is UNIQUE, mounted on a steam bent cedar or maple frame. 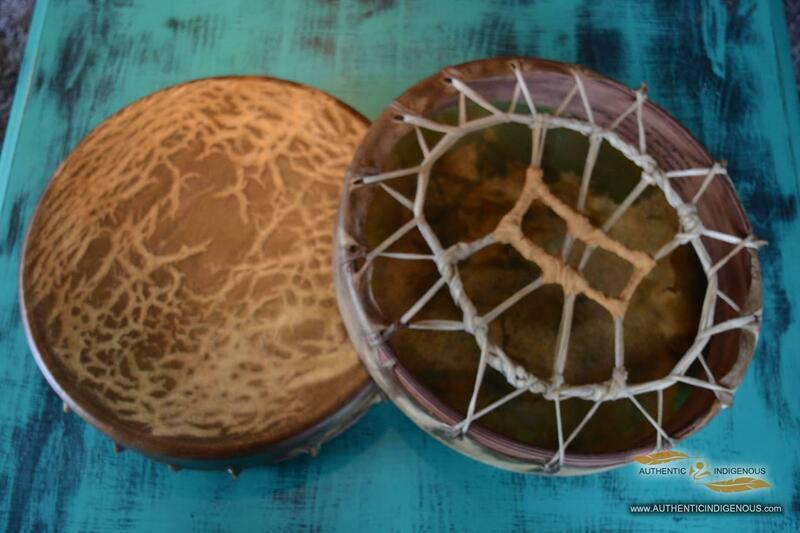 Organic bees wax seals the frame and pure bear grease is used to condition the hide and string to protect your drum and bring life to the face of the drum. Handles are wrapped in buckskin for comfort and hand made tom toms are matched to each drum for the best sound. These drums are of the highest quality, made for years of enjoyment both as a work of art and an instrument.